I was totally amazed when a group of parents and teenagers came to a city council meeting in my small Nevada town, complaining that the city government was not providing enough facilities to keep "the kids" occupied. 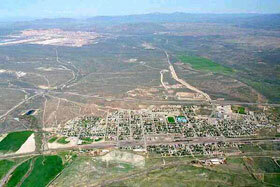 In the ensuing discussion, it appeared that most of these people thought it was local government, rather than the parents and teens themselves, that was responsible for the boredom and general aimlessness of our younger citizens. The city has two excellent city parks, with night-lit ball fields, tennis and basketball courts, horseshoe pits, and a fishing pond with surrounding nature trails for daytime use. There is a very sparsely used branch of the county public library. Seems that this is insufficient, and the city should provide such things as video arcades and teen dance halls, items I always assumed were best left to private enterprise. Questions were asked about hobbies, reading, Scouting (somewhat alive, mostly in the youngest groups), and community activities. It seems that anything requiring more than a minimal amount of thought or effort, especially activities that would actually lead to learning useful skills, has been relegated to the level of political incorrectness. Speaking with the parents led to the conclusion that they, too, had no real interests or activities other than work, TV, and maybe the local saloon. Few of them read the local newspaper, much less books. Hobbies such as ham radio, model aircraft, even working on cars or playing board games that required thinking were unheard of. Parents amuse themselves playing video slot machines, youth play video games and drive around town playing rap music at volume levels that bulge car windows and has to be mind-numbing to all in the vehicle. Somewhere along the line, not many of these people were exposed to self-improvement or learning as fun. What little reading they do is downbeat and seldom glorifies self-respect, individuality, or just plain good manners. They need good examples, reading with self-reliant characters, stories in which clean living and good old American know-how can always defeat the bad guys. My own favorite example of this is the Tom Swift series, written by "Victor Appleton" around 1910-1920. The series begins with Tom Swift and His Motor-Cycle, introducing Tom and a good many of the regular characters including my personal favorite, the eccentric Mr. Damon. Tom is a teenager, son of a well-to-do widower inventor, who in the course of the series matures into a respected inventor himself. He has some great adventures, almost science fiction in tone, and always finds his way out of problems with hard work, much original thought, respect for others, and yes, plain good manners. A little hokey by today's standards? Maybe we need a little more upbeat hoke and a lot less dreary, downbeat news, a lot less vicious, mean-spirited music, a lot less disrespect for others — and a lot more of that old self-reliant, we-can-solve-anything attitude. Out of Tom's era came some of the greatest technical advances and quality-of-life improvements in our history. Other authors followed with that same can-do attitude, notably John W. Campbell, with his Arcot-Morey-Wade series (essentially young inventors saving the world) and Robert A. Heinlein's "juvenile" series, making good examples of people who were not afraid to learn, innovate, work hard, and respect themselves and others. All of the books in the series are fun to read, but my personal favorites are Tom Swift Among the Diamond Makers and Tom Swift and His Wireless Message. Diamond Makers simply has some interesting, eccentric characters; while in Wireless Message, Our Hero must save his young lady friend and her parents, shipwrecked on an island slowly disintegrating from earthquakes. Don't worry about series order in reading. Later stories do build somewhat on earlier ones, but mostly just mention other inventions or adventures. A common thread through all, though, is that never-give-up, we-can-do-it attitude that never fails to give a little boost when you need it. How about it? Need a little moral battery recharge? Want to feel better about the world? Reading Ayn Rand for the tenth time is a little heavier than what you want right now? Tom Swift is right here ... and boy, do we need him! 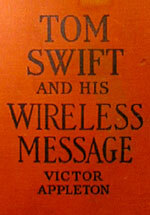 "Victor Appleton" was a company pseudonym for several writers who wrote the Tom Swift series over the years. See The Complete Tom Swift Sr. Home Page. A new series, a bit updated, was started in the 1950s by "Victor Appleton Jr."